It’s Molly from Almost Makes Perfect again! 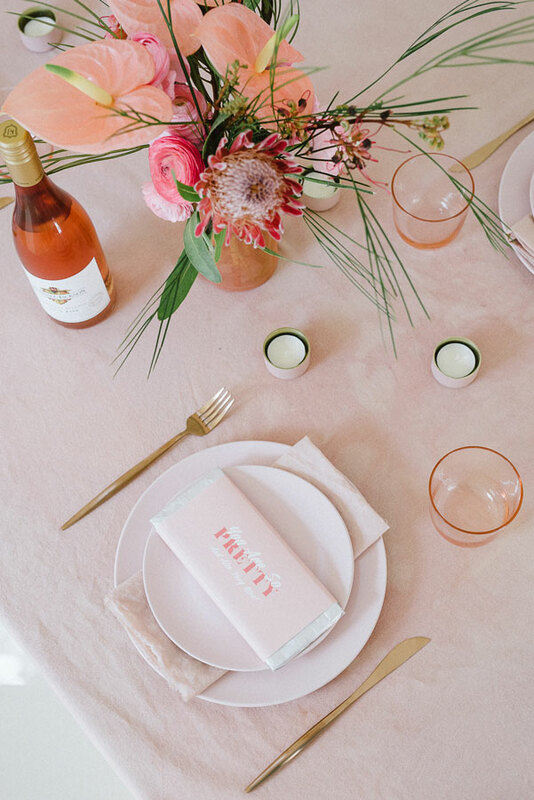 So excited to share the little Galentine’s Day party I put together for my girlfriends — clearly inspired by my love of the color pink! There is no better wine to drink on Galentine’s Day (or Valentine's Day, for that matter) than rosé, so I served Kendall-Jackson Vintner’s Reserve Rosé and it blended into my decor perfectly (and pairs so well with all my favorite foods as well). I had some trouble finding the perfect pink tablecloth and napkins that weren’t a zillion dollars, so I decided to dye linens I already had. 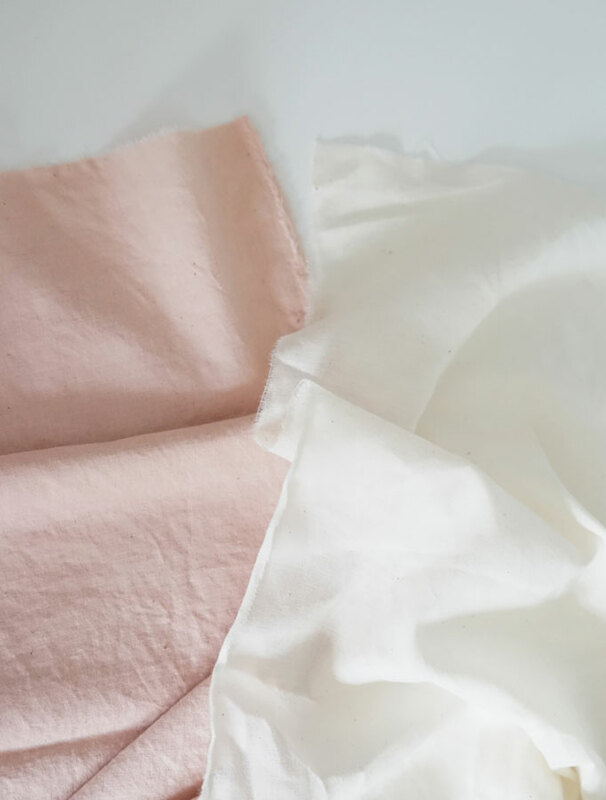 After looking into using regular fabric dye, I found out that you can use avocados to naturally dye fabric pink! Crazy, I know. 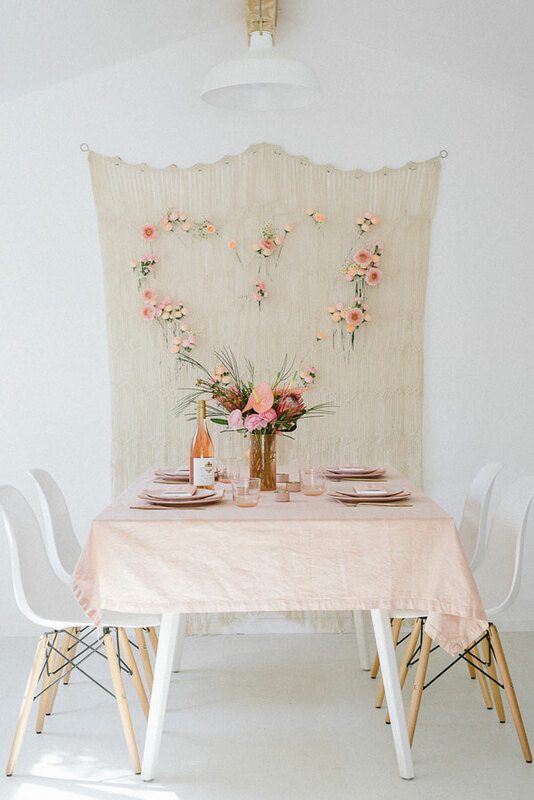 To make these DIY Pink Table Linens, I used some old linen fabric I never used and an old tablecloth, and made a bunch of avocado toast and guacamole and saved the skins and pits from 3 avocados in the fridge. You can just use avocado skin instead of the pit, but it dyes faster this way. Drop the skins, pits and fabric into a stainless steel soup pot filled with water and bring to a boil. Once boiling, turn heat to low and let simmer for one hour, stirring occasionally. 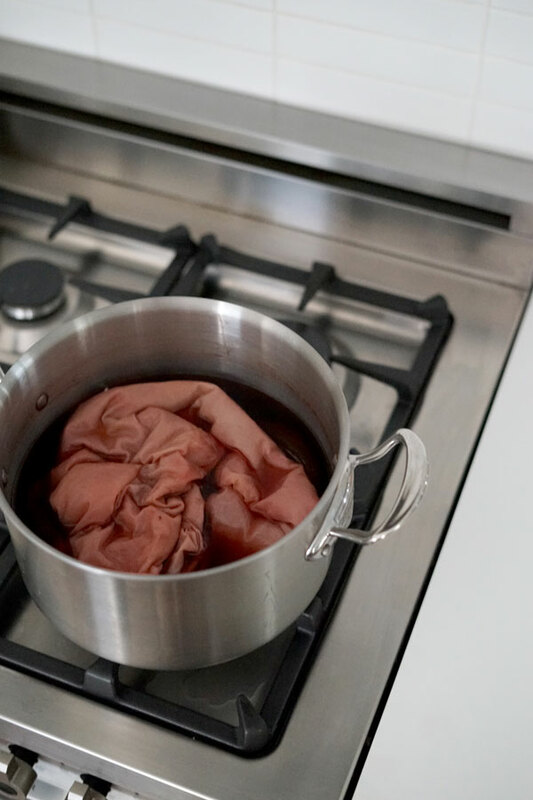 Turn off your stove and let steep for an hour, or until your fabric is the color you want (the longer you leave it on, the more saturated it will be). 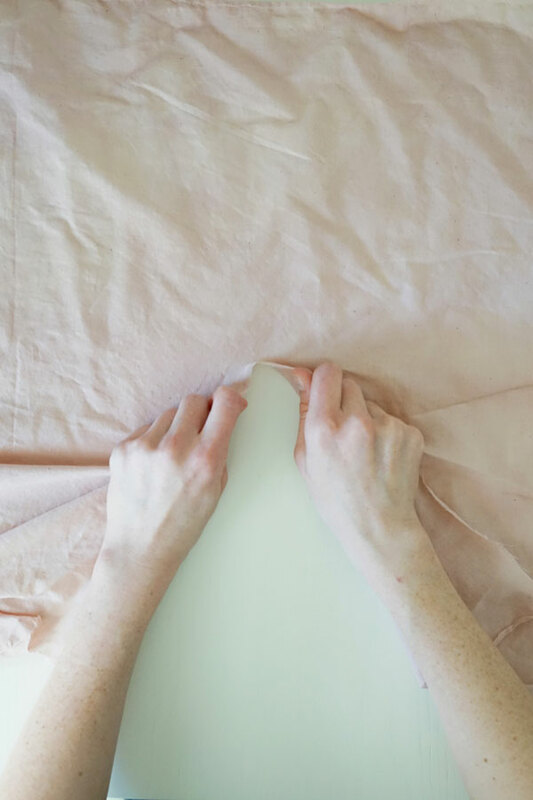 Once I achieved the color I wanted, I removed the linen fabric (with tongs) and added the tablecloth, which also quickly changed to the perfect shade of pink quickly! Then I got addicted and went around the house finding things to dye pink. It’s so easy though that you could recreate anytime! For the frayed edge napkins, wash and let dry, and then cut to the size of your liking (I always just lay another napkin on top to mark the size). Cut a slit and then rip by hand the rest of the way, keeping your hands as straight as you can. Pull straggles and throw into your dryer to get that frayed edge. It’ll be much easier to dye the fabric as one piece and cut the napkins out after.